This is a reminder to keep our eyes, ears, and hearts on Jesus Christ. In this gospel account, the Lord’s disciples are reminded to exercise those senses (eyes=Why do you seek…? ; ears/memory=Remember how He spoke to you while He was still-with you-in Galilee…) In the encounter with the angel the attention is directed at the source of all things, not ourselves, not the work, but on the Words of Jesus Christ, what He said and continues to say. The Lord reminds me that I ought to look expectantly for Him to hear His voice in the ministry. Now that Nenita and I have moved to Santa Rosa, I stand guard; station myself where I ought; and I will keep watch to see what He will speak to me…”(Habakkuk 2:1-3). Looking back, my hubris gets the better of me in specific situations; and when it does, I view such instances with a sense of finality. I mumble and say to myself, “Oh no, what have I done?” But the Holy Spirit is quick to remind me that nothing can separate me from His love; and that with God, all things are possible. The words of Jesus always comes at a time I need His assurance, “Let not your heart be troubled, you believe in God, believe also in Me. In My Father’s house…” In my mind the Spring semester was in full view, but by His grace, it has been pushed to be a Summer semester for His purpose. He knows best! 1) MFHBC continues with “Off-Site” classes, a.k.a. “W.o.W – Word on Wheels” beginning in April out of Santa Rosa, Laguna. Because of the move and requests from two churches, classes have been rescheduled to start on the third week of April 2018, which is summer(in the Philippines). 2) MFHBC over the last six years, continue to establish relationships with existing fellowships, rekindling old friendships not just in Calabarzon(southern Luzon) but to include northern Luzon for the “…equipping of the saints, for the work of the ministry.” We continue to follow His directive that more may know Christ and make Him known. 3) During this recent “spring” break, we were blessed to visit new places. As we did, we got to pray up the people we encountered. For the most part, the Gospel needed to be proclaimed; and equally important is the need for the Word of God taught at the small independent churches. The move to Santa Rosa was explained in a previous newsletter, and is so ordained because the move allows us easier access to the “highways and byways” for the work we have been called to(this includes you…we’re in this together). The urgency is a reality until the Lord returns. You may remember this phrase, “Go and tell, or they will go to hell” by Nenita, so yes, the work we are called to is urgent. The call is to reach the most number of teachable saints for the work of the ministry. The upcoming 2018 semester is out of the norm and is slated to begin with two churches, Kingdom Ministries in Silang, Cavite – down south; and Rock of Refuge at New Manila, Quezon City – at the center. Keep in prayer as the Lord wills, for a class to start with a local church in the Santa Rosa area. As part of our preparation for the coming semester, we went on a retreat (step back), to seek His face and scout the landscape beyond CaLaBaRzon. 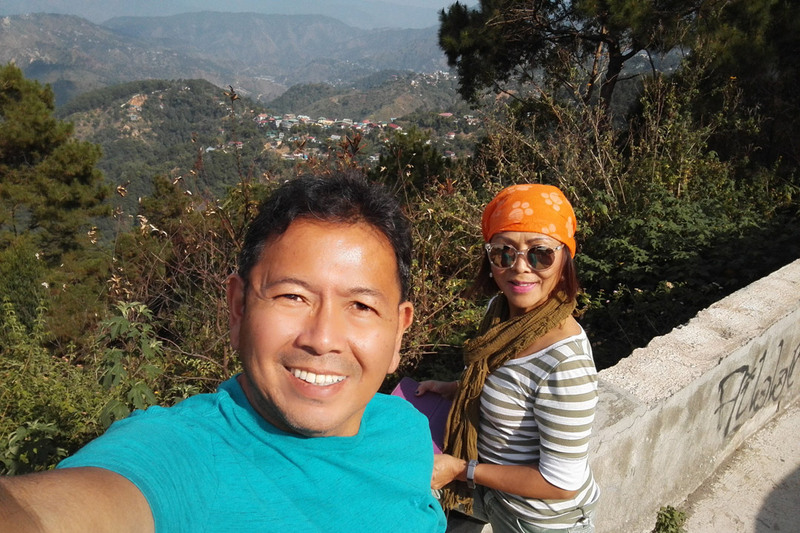 Last June 2017, we visited Mariveles, Bataan (west of Manila) for a wedding, then to Baguio (north) to celebrate our 25th anniversary, these cities mentioned are far from Santa Rosa and Tagaytay, way north. 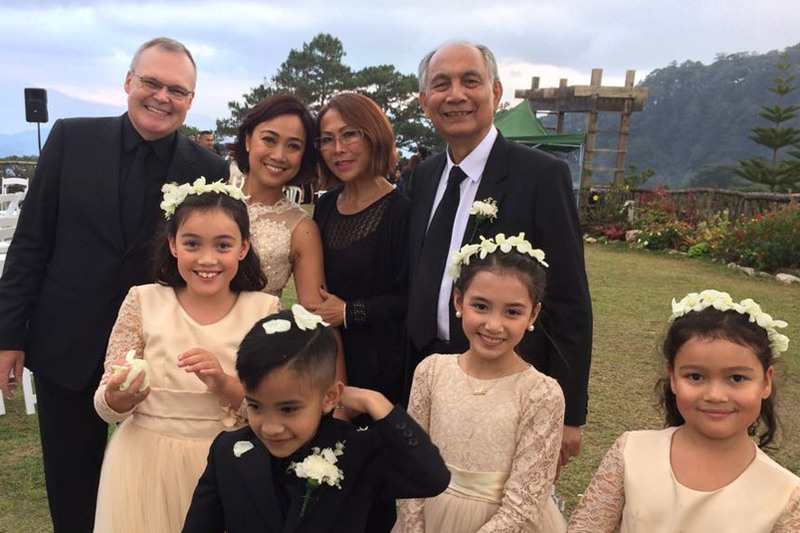 This 2018, we attended another wedding up in Baguio. It was a ceremony that had all the elements of what a wedding ought to look like, restoration, forgiveness, reconciliation, and redemption. What a beautiful wedding, through it, God is glorified! 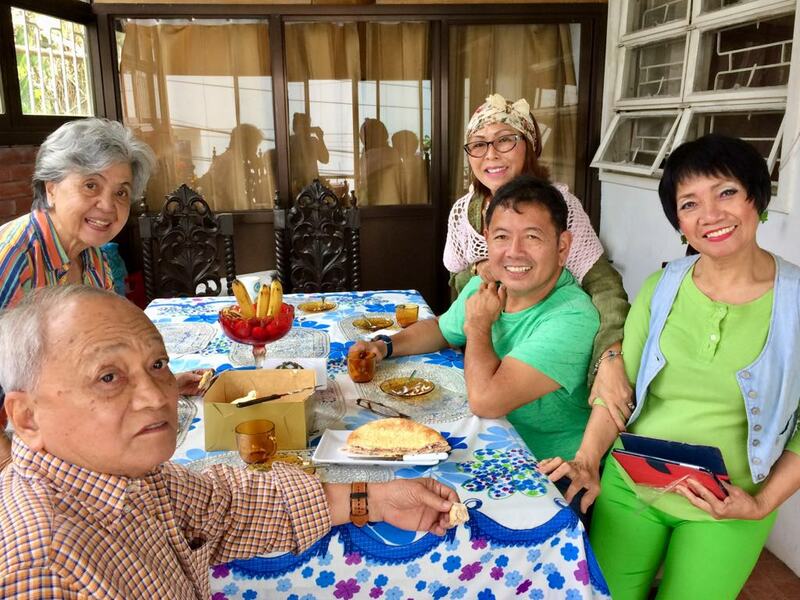 Before the Vigan road trip, we made new friends in Baguio, the parents of one of Nenita’s doctors. Meet Buddy and Marie Jose, and Buddy’s sister Tess. It was a pleasant and fun-filled first meeting over lunch, Baguio style: deep fried bangus (milkfish), tilapia two ways (fried, and stewed in mustard leaves and tamarind), duck cooked in coconut milk…Yummm. Introductions through stories were exchanged, it was like we’d known each other a long time and were simply catching up by giving updates about our lives. 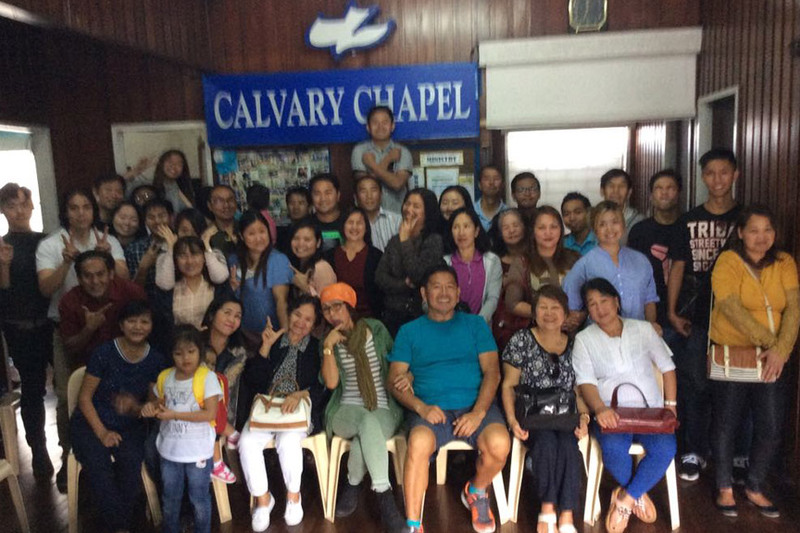 In addition to visiting the countryside and making new friends, we got to spend time with the saints of Calvary Chapel Fellowship of Baguio. The family of God is awesomely large that wherever you turn, if you remain alert, you will meet brothers and sisters in the Lord you otherwise might have ignored. These encounters are such an encouragement. We were blessed to sit down with them on Holy Wednesday to teach on the book of Ephesians for four hours as the Lord allowed it. Do keep us both in your prayers to the Lord of the harvest, which indeed is plentiful, laborers are few. Let us press on together in the power of His might. 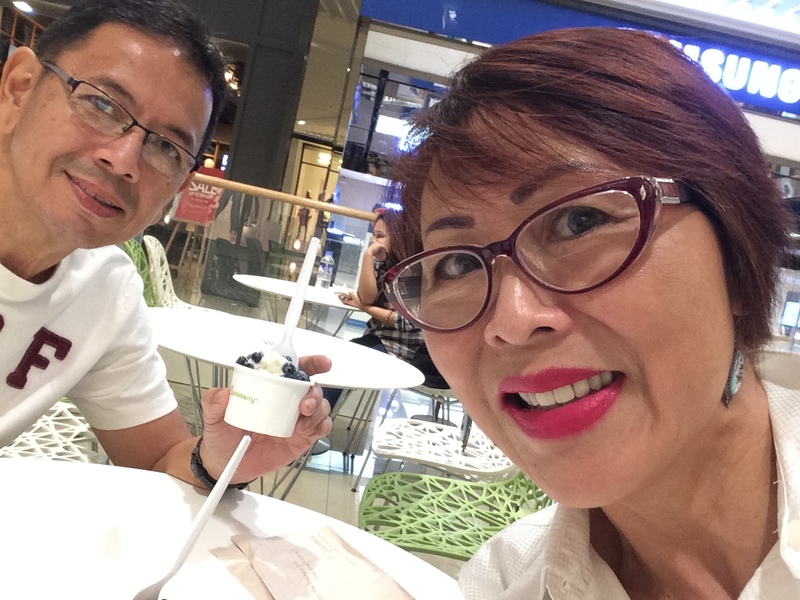 Again, from Nenita and I, thank you for your faithful participation to His work through us. Praise God indeed!!! We love you. And He did through Nenita. His help arrived in my wife. Thank you dearest Jujubee! 1. 533 – A Byzantine expeditionary fleet under Belisarius sails from Constantinople to attack the Vandals in Africa, via Greece and Sicily. 6. 1834 Cyrus Hall McCormick received a patent for his reaping machine. 7. 1864 – American Civil War: The Battle of Jerusalem Plank Road begins. 8. 1898 – The United States captures Guam from Spain. 9. 1900 – Boxer Rebellion. China formally declares war on the United States, Britain, Germany, France and Japan, as an edict issued from the Empress Dowager Cixi. 10. 1905 – Philosopher, author and playwright Jean-Paul Sartre was born in Paris. 12. Columbia Records introduces the long-playing record album in a public demonstration at the Waldorf-Astoria Hotel in New York, New York. 13. 1952 – The Philippine School of Commerce, through a republic act, is converted to Philippine College of Commerce, later to be the Polytechnic University of the Philippines. 14. 1953 – Benazir Bhutto is born Pakistani financier and politician, 11th Prime Minister of Pakistan. 15. 1964 – Jim Bunning of the Philadelphia Phillies pitched a perfect game in a 6-0 victory over the New York Mets. 16. 1973 – The Supreme Court ruled that states may ban materials found to be obscene according to local standards. 17 1977 Menachem Begin became Israel’s sixth prime minister. 18. 1982 – John Hinckley Jr. was found innocent by reason of insanity in the shootings of President Ronald Reagan and three others. 19. 1989 – The Supreme Court ruled that burning the American flag as a form of political protest is protected by the First Amendment. 25. 1992 – Rizty & Nenita celebrate marriage!! !